Linda H. Martin is a Partner in the New York office of Freshfields Bruckhuas Deringer US LLP. 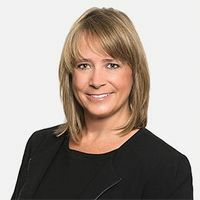 She has extensive experience providing legal counsel to client leadership teams, including C-Suite executives and boards of directors, on strategic initiatives and complex dispute resolution across a variety of industries and practice areas. Linda brings sound judgment and creative thought to solving complicated business problems, with a particular expertise in navigating matters involving disparate internal and external stakeholders. She has a strong record of achieving successful outcomes for her clients, whether through courtroom advocacy or negotiated resolution. Her clients have included Fortune 500 companies, private entities, and governmental agencies in the United States, Europe, Asia-Pacific, and Latin America. In addition to her work at Freshfields, Linda is an Officer on the Boards of Directors of the Children’s Tumor Foundation and the Law Alumni Association of Duke University School of Law. She is admitted to practice in New York and before United States District Courts for the Southern District of New York, Eastern District of New York, Western District of New York, and Northern District of Oklahoma, as well as United States Courts of Appeal for the 2nd and 3rd Circuits.